This sweater from Rebecca King Fashion is a staple in our wardrobe this winter. It is perfect for wearing underneath your wool duffle coat this winter -- the neck acts as a scarf, and the bottom keeps your legs warm. It also transfers nicely to your Spring/Fall wardrobes as a cozy sweater. We love the work of Rebecca King -- see previous purchase here -- and are already plotting which sweaters to buy next. This song from The Overcoats has been playing on the radio a lot lately. We love the vibe of the music, and the harmonies of the voices singing. Beautiful. We are in love with brooches and handmade pins. 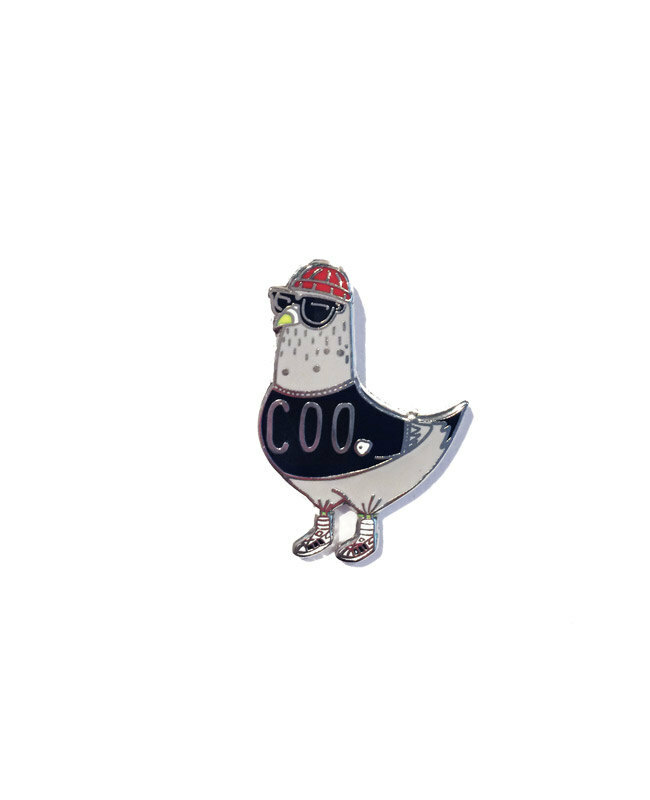 This cute little pigeon pin from Jolly Awesome Art caught our eye recently. The shop is currently on a little break, but be sure that we're going to snap it up when it opens again.